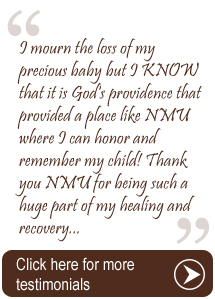 The National Memorial for the Unborn (NMU) and Sacred Heart of Mary (SHM) give you the opportunity to honor your child by purchasing a brass name plate to be placed on the NMU Wall of Names and/or the Sacred Heart of Mary Memorial Wall. 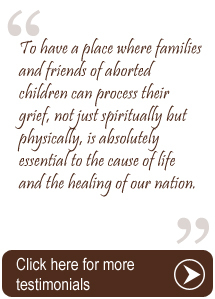 You can join thousands from across the country who have taken an important step in the healing process. 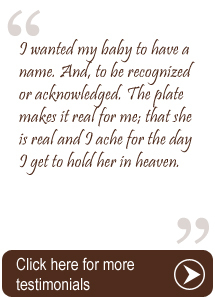 One plate will be given to you by SHM staff for your personal remembrance. Standard Option +1: $55.00 - Includes three 1" x 3.5" plates. One plate will be placed on the SHM Memorial Wall by SHM staff. 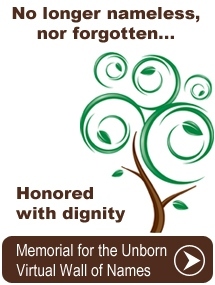 *Exception: Miscarriage/stillborn plates will only be placed on SHM Memorial Wall. Marble Mount +1: $70.00 - Includes three 1" x 3.5" plates and marble base. *Exception: Miscarriage and stillborn Marble Mounted plates are only available with the SHM Marble Mount Option. All transactions are handled by and for use of the NMU.